Blowout Sale! 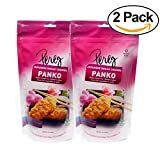 Up to 58% off on Panko at Miss Patisse. Top brands include Haddar, Table Top King, TableTop King, Lieber's, Yehuda Matzos, Landauu, PEREG, Jeff Nathan Creation, Emeril, B&G FOODS,INC, & Ians Natural Foods. Hurry! Limited time offers. Offers valid only while supplies last. 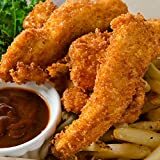 Haddar Panko Barbecue Japanese Style Crumbs Kosher For Passover 7 Oz. Pk Of 6. Haddar Panko Original Japanese Style Crumbs Kosher For Passover 7 Oz. Pack Of 6. 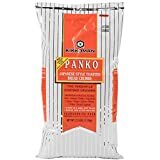 Haddar Panko Onion & Garlic Japanese Style Crumbs Kosher For Passover 7 Oz. Pk Of 6. 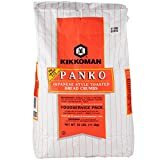 TableTop King Panko Japanese Style Untoasted Bread Crumbs - 25 lb. 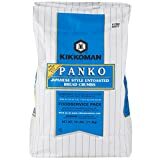 TableTop King Panko Japanese Style Toasted Bread Crumbs - 25 lb. 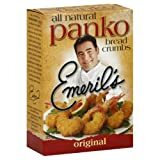 Landau Panko Crumbs Plain Gluten Free KFP 7 Oz. Pack Of 3.